A Fighter All The Way For You. Falsely Accused of a Crime? 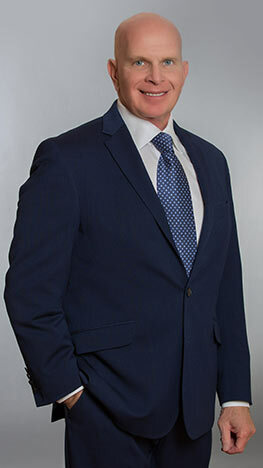 Mr. Eisenberg is one of only a handful of criminal defense attorneys (seven, to be exact) in all of Sarasota County who has been recognized by the Florida Bar as a Board Certified Criminal Trial Expert. There's a reason why there are so few board certified criminal defense attorneys. That's because the Florida Bar's requirements for board certification are so difficult to achieve! Only lawyers who have been recognized by the Florida Bar as "Board Certified" are ethically entitled to call themselves an "Expert" or "Specialist" in their area of the law. Board certified lawyers have met The Florida Bar's highest standards for special knowledge, skills, and proficiency. It is the highest pinnacle an attorney can reach in recognition for legal expertise and gives the public objective standards by which to evaluate attorneys. Mr. Eisenberg brings to the table a lifetime of service dedicated to his country and the community. First, he honorably served as a U.S. Marine for 11 years. Then, for the next 22 years he served as both an Assistant Federal Public Defender and an Assistant Sarasota County Public Defender, where he represented over 6,000 defendants. Hiring an attorney in a criminal case can be one of the most important decisions that one can make in their lifetime. As a Board Certified Criminal Trial Expert, Mr. Eisenberg will aggressively and vigorously fight for your rights to the fullest extent possible and to resolve your case as effectively as possible!